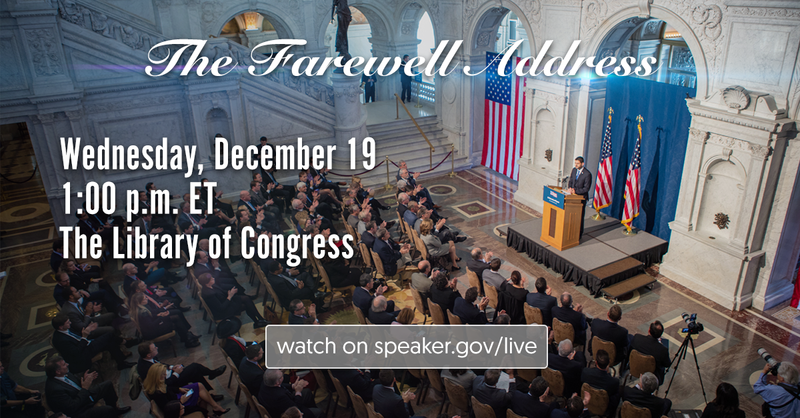 WASHINGTON—On Wednesday, December 19, House Speaker Paul Ryan (R-WI) will deliver his farewell address in the Great Hall of the Library of Congress. It is the same setting where he delivered his Confident America address in December 2015, shortly after he became speaker. Watch Live: The event will be live-streamed on speaker.gov/live.